By Tom Kertscher on Wednesday, October 25th, 2017 at 2:49 p.m.
Thirty times we and PolitiFact National have fact checked Reince Priebus, who served for six months as the White House chief of staff under President Donald Trump. 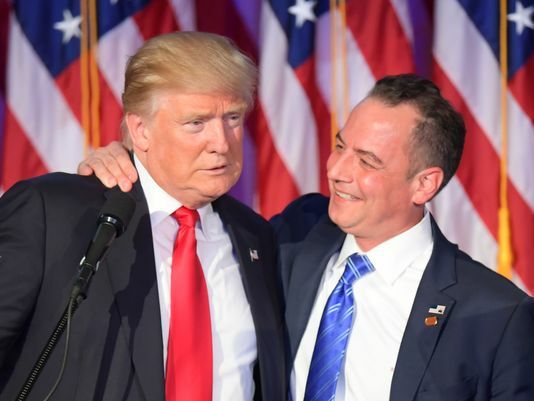 Priebus, the former chairman of both the Wisconsin Republican Party and the Republican National Committee, was back in the news this week detailing his next career steps (lawyer, speaker). On the Truth-O-Meter, he had plenty to say about Hillary Clinton, Barack Obama and the 2016 presidential election. His most common rating, on 14 of the fact checks, was False. Nine of the checks rated Half True. Here we’ll review 10 of our Priebus fact checks -- his one True, his one Pants on Fire and eight in between. Says Hillary Clinton "is the one that labeled African-American youth as ‘superpredators.’"
In championing her husband’s 1994 crime legislation, Clinton did use the term when referring to "gangs of kids." She did not specifically label superpredators as African-American, but the context of her speech and her subsequent apology decades later suggested it was a reasonable inference. Hillary Clinton’s "campaign and her supporters in her campaign were the ones that borne out the birther movement." 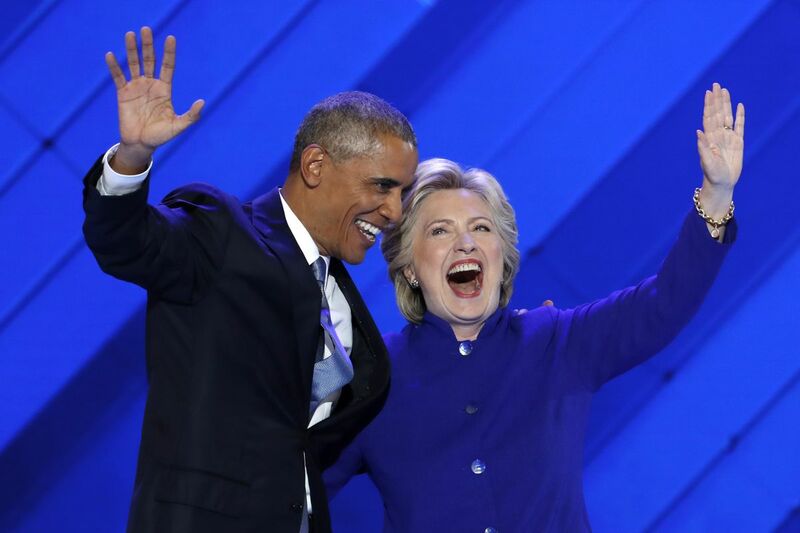 It had been reported by several news outlets that Clinton supporters sent emails accusing Obama of being born outside the United States. However, there was no evidence, as of this August 2016 fact check, that Clinton or her official campaign had anything to do with it. Says Hillary Clinton took "money from kings of Saudi Arabia and Morocco and Oman and Yemen." The monarchies of Saudi Arabia, Morocco and Oman had contributed to the Clinton Foundation; but Yemen, which does not have a king, had not, as of this April 2015 fact check. And although Priebus’ claim was made during a discussion of the foundation as well as contributions to political candidates, his phrasing could have left the impression that Clinton herself, rather than the foundation, received the money. Says Hillary Clinton's Iran nuclear deal "lined the pockets of the world's number one state sponsor of terrorism with your money." The United States labels Iran as the top state sponsor of terrorism. But the deal aimed at making it harder for Iran to get a nuclear weapon was struck 2.5 years after Clinton left the Obama administration as secretary of state. And the vast majority of the tens of billions of dollars that Iran gets is not American money, but its own assets, which were frozen by the United States and other countries that imposed sanctions on Iran. Prompted by concerns about terrorism, the Obama administration did put those seven countries -- Iraq, Syria, Iran, Sudan, Libya, Somalia and Yemen -- on a list that made travel into the United States more difficult. But that list didn’t necessarily identify the seven as being the most dangerous. "We’ve lost 26 million jobs … since (Obama’s) been president." Priebus’ 2011 statement was way, way off. Losing 26 million jobs would have meant losing about 20 percent of the nation’s jobs -- something on the scale of the Great Depression. Trump’s margin in the Electoral College -- 290 to 232 over Clinton was the count as of this November 2016 fact check -- wasn’t all that high. None of the 10 experts we contacted said Trump’s win crosses that threshold. "There's been no conclusive or specific report to say" Russia was trying to muddy the election. The director of national intelligence, representing 17 intelligence agencies, and the secretary of the Department of Homeland Security said they were confident the Russian government had directed the email hacks of the Democratic National Committee and a top Hillary Clinton adviser. And that the intent was to "interfere with the U.S. election process." "It's an absolute fact" that China and North Korea "have consistently over many, many years" meddled in U.S. elections. During President Bill Clinton’s 1996 reelection campaign, money from Chinese citizens, including the head of China’s military agency, was illegally funneled to the reelection effort. But as of this July 2017 fact check, there was no evidence that either China or North Korea -- consistently and over many years -- meddled in U.S. elections. And certainly nothing on the scale of the Russian efforts in the 2016 presidential race, which reached to the highest levels of the Russian government. Mitt Romney "gave away his father's inheritance." Romney, the 2012 GOP presidential nominee, had repeatedly said so himself and that was backed up by the fact that Brigham Young University has an institute named for his father launched just a few years after his death. And there was no reason to think Romney would have needed the money a decade after his lucrative move to Bain Capital.